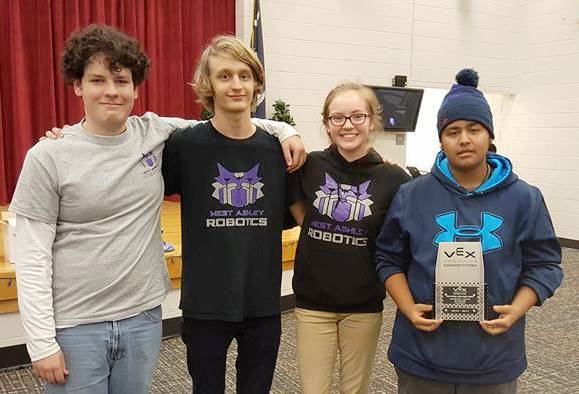 Mr. Nicholas Holmes, Mathematics and Mechatronics Teacher, and Robotics and Trebuchet Team Advisor at West Ashley High School, provided the following report on the WAHS VEX Robotics Team’s success in their most recent event on December 10, 2016 at the College Park/Cane Bay Regional Qualifier in Ladson. 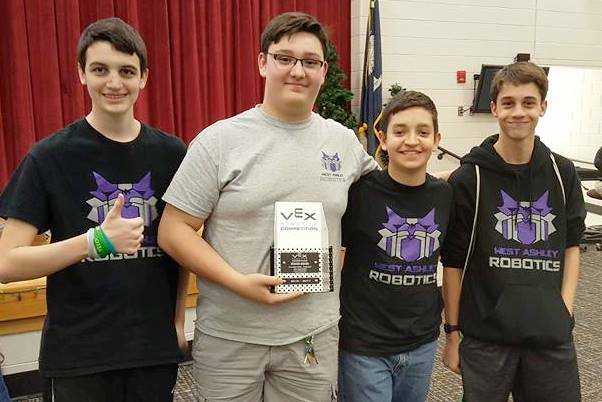 All 4 teams from West Ashley HS competed against programs from high schools throughout the state, including Goose Creek, Bluffton, Beaufort, Columbia, and Orangeburg. 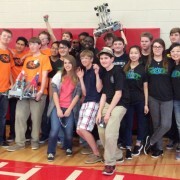 Two WAHS teams were part of the 3-team alliance that won the tournament. 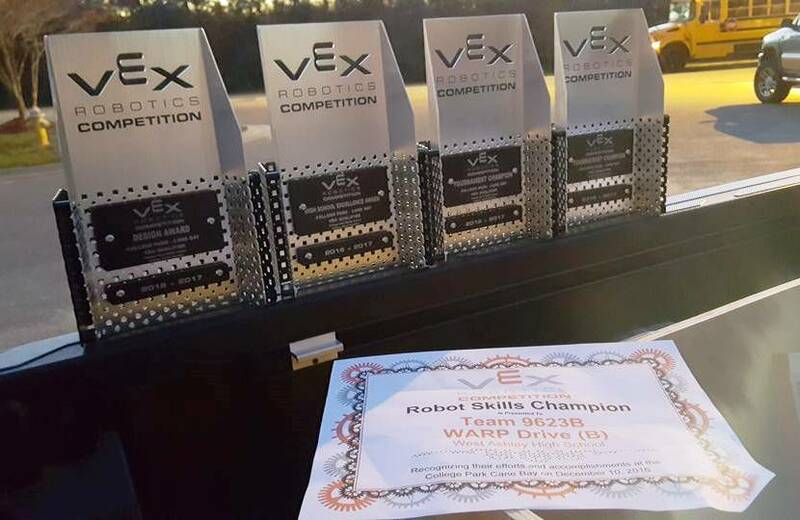 WAHS students also won the Excellence Award, Design Award, Programming Skills Competition, and Driver Skills Competition. 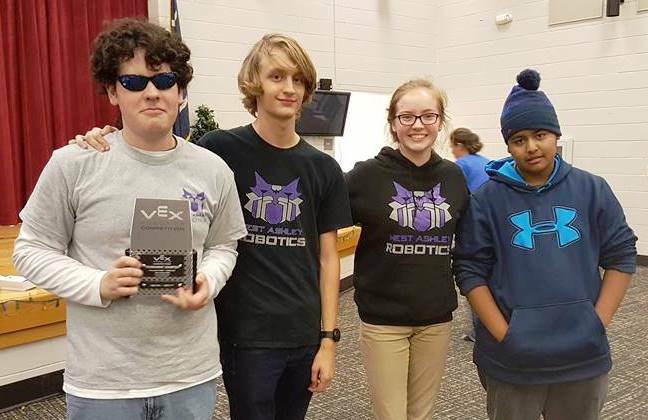 “Through our teams’ success at the event, we earned the opportunity to move on to the SC State Championship and the CREATE VRC National Championship in Council Bluffs, Iowa.” said Holmes. 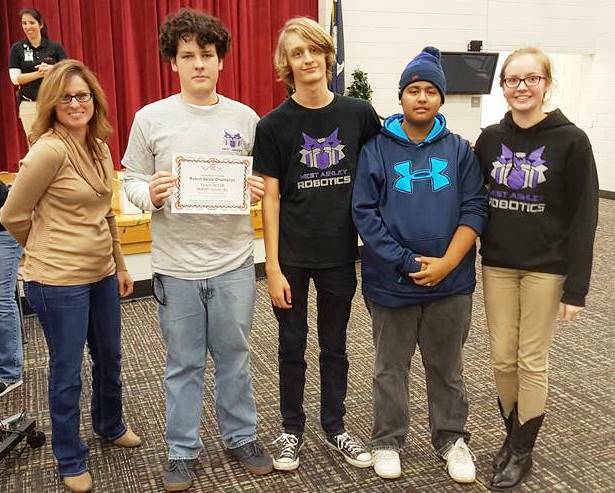 The WAHS team was successful in the event due to their excellent teamwork. From the design to the drivers on the day of the event, it was a team effort. 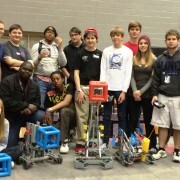 One specific factor in robotics is the code the programs the actions and abilities of the robot. WAHS students used a multidimensional array systems to calibrate our motors in real time. This code recalibrates our motors every 50 milliseconds to make sure they are doing precisely what we want them to do. Even if an outside force acts on our robot, gyroscopes, accelerometers, encoders, and sonar sensors will reposition the robot so that it will continue to complete the required task without fail. 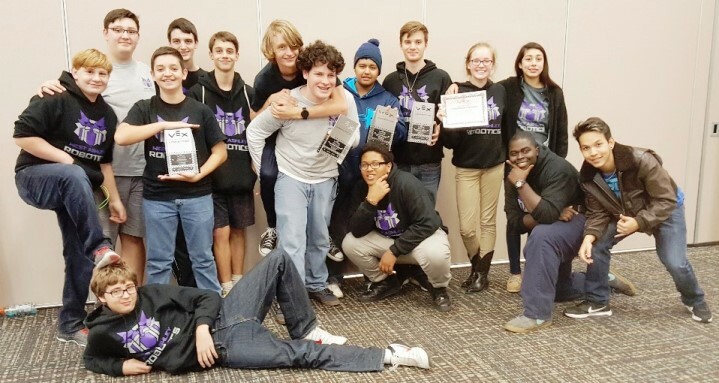 “The coding used for this event was an original idea by one of our senior students, Noah Combs. 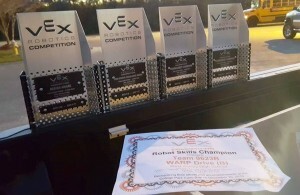 He is also the driver of our best robot and the winner of the skills challenges and excellence award. 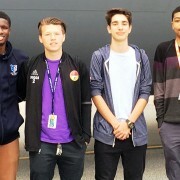 Noah came to me one day, after leaving his AP Computer Science class, and told me that he thinks we can use an array set to calibrate the motors. 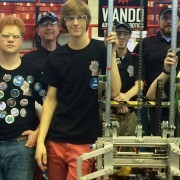 Motor calibration is something the team had been battling for over a year. Within 30 minutes, Noah had scratched out a basic code that did the job we have been trying to figure out since the beginning of last season! !” said Mr. Holmes. 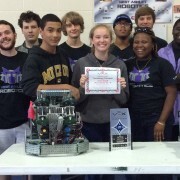 WAHS robots have the ability to operate our robot at an advanced rate of precision. 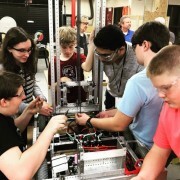 “We are thankful to have engineers serving as mentors for our team from the Army Corps of Engineers and Cummins Charleston. 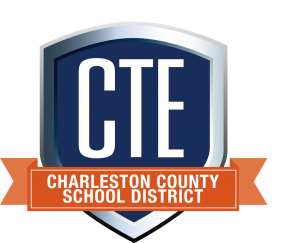 We also remain extremely thankful for the financial support provided to our team from the Charleston chapter of the Society of Manufacturing Engineers.” added Mr. Holmes. 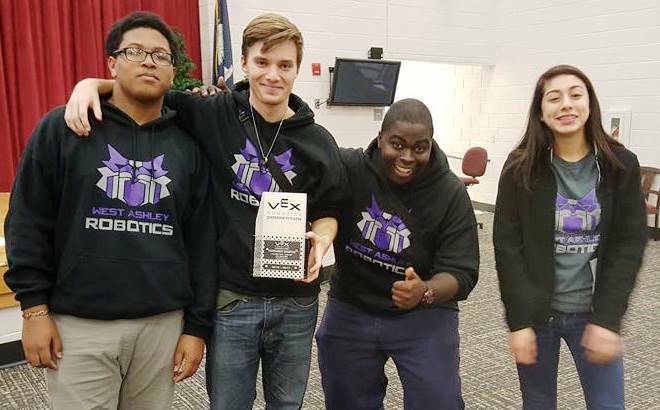 Thank you to Mr. Holmes, his amazing students, and all the parents and other terrific supporters of the award winning West Ashley High School Robotics Team!